It’s hard not to appreciate the distinctive look of spalted sugarberry wood, a process that naturally occurs as a tree starts to decline, creating color variations, shading and lines that are unique to each tree and its environment. Each of our spalted sugarberry products is as unique as the tree from which it came, making it a one-of-a-kind piece to showcase in your home. Read on for some of our favorites. 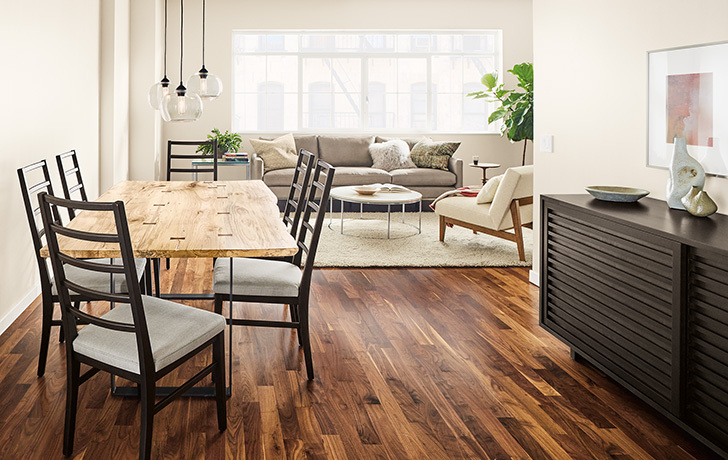 Reminiscent of a classic farm-style table, Walsh features a modern wraparound leg design to give an updated look for today. Made with sustainability in mind, we designed these modern picture frames using the excess material from dining tables and desks. Each Chilton table features a shape and grain as unique as the tree it came from. A solid slab of wood is sanded and finished, and braced with walnut butterfly joints in any areas requiring extra support. 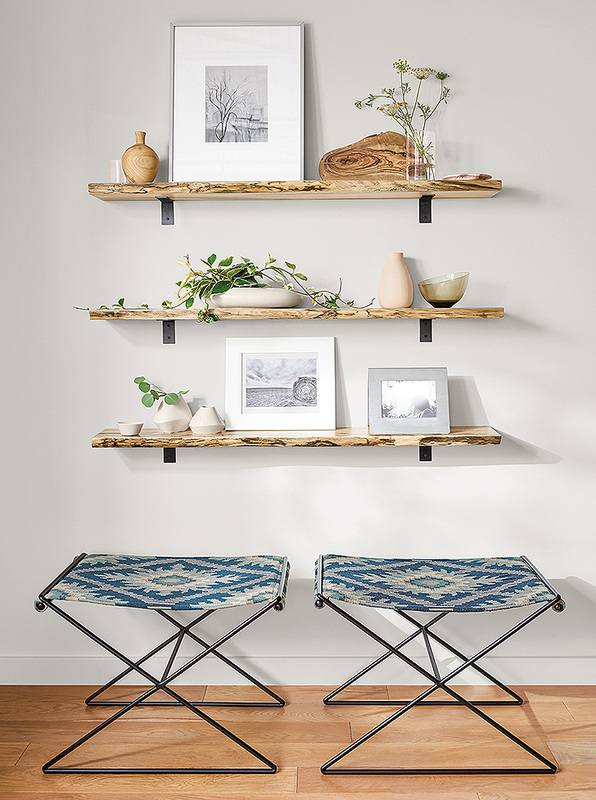 Natural meets industrial with our Stowe wall shelves. 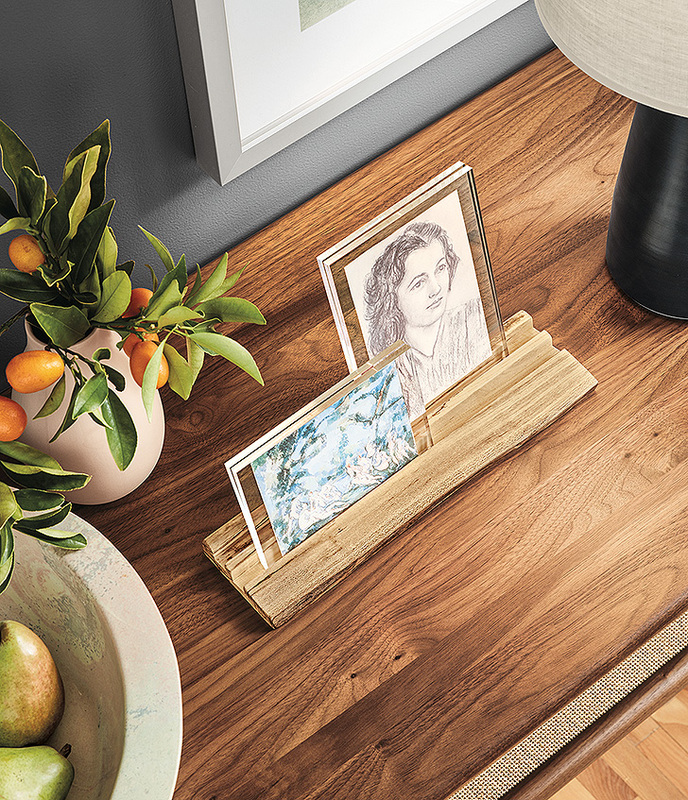 The domestically sourced solid wood shelf has a live edge front that pays homage to the tree from which it came, displaying unique grain patterns, knots and markings. 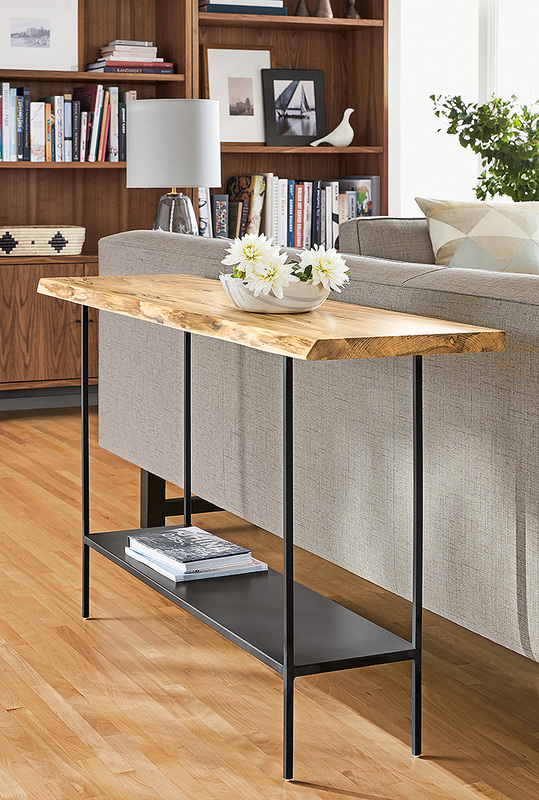 The spalted sugarberry table top of our Chilton console table is paired with a natural steel base and shelf for a modern look that allows you double up on storage and display. See more of our spalted sugarberry wood products on our website.